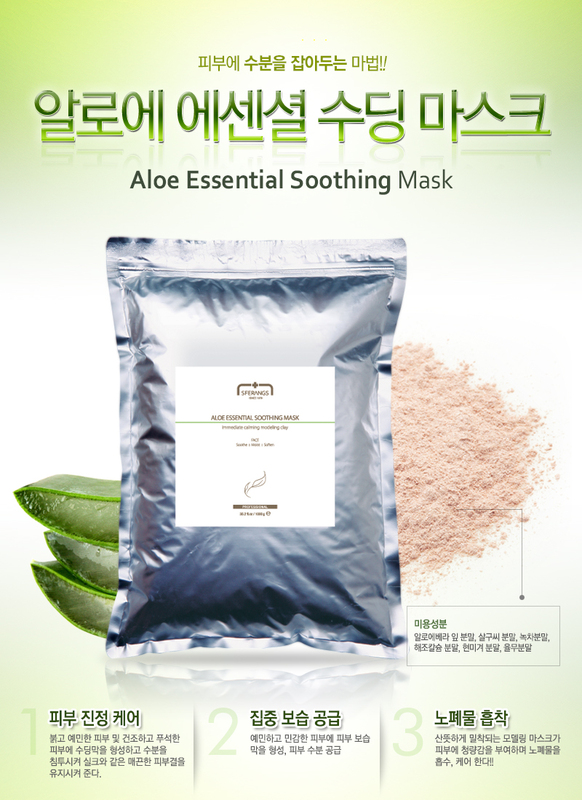 Aloe essential soothing modeling mask provides immediate soothing care and recharge dehydrated skin to hydrated skin. DIRECTIONS : After cleansing, pour 15~20 grams of the powder into a rubber bowl, mix with 30~35ml cold/warm water(depends on your preference). Stir rigidly with a plastic spatula until a smooth uniform paste forms, then apply evenly on the face. After 20~25 minutes, peel off the mask and clean the excess mask residue with aloe essential soothing toner.